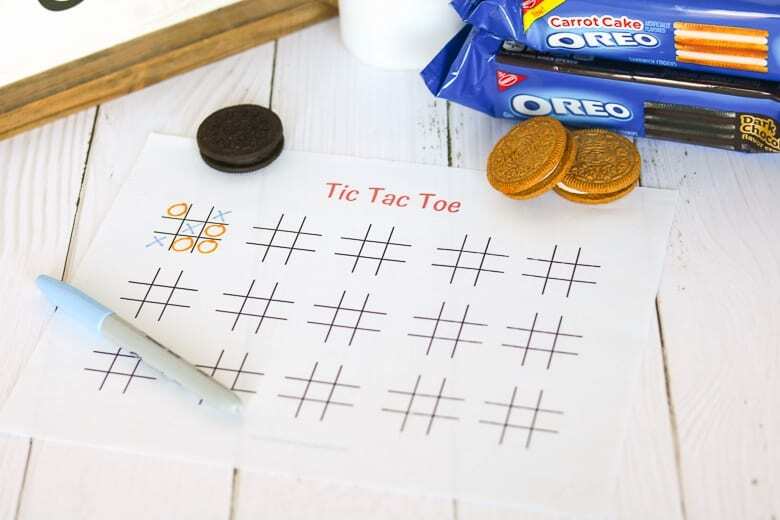 Grab some OREO cookies and use this free printable tic tac toe game board for a fun family game night! What better way to have a fun night in as a family then with a family game night. Playing games together as a family is always a lot of fun. We always have a lot of laughs, and I know that it moments like these that make great family memories that last forever. When was the last time that you had a family game night? If it has been a while, why not have one this weekend? Or even tonight? Don't have any games?! No problem! Our family loves OREO cookies, so it is only natural to include them in our family game night fun. OREO always has delicious new varieties, and playing “name the OREO flavor” is a great way to have fun introducing the new flavors at home. We may have made up this guess the OREO flavor game ourselves, I am not 100% certain. But who cares?! It is fun! Simply hide the OREO packaging and have family members taste an OREO cookie and try to guess the flavor. 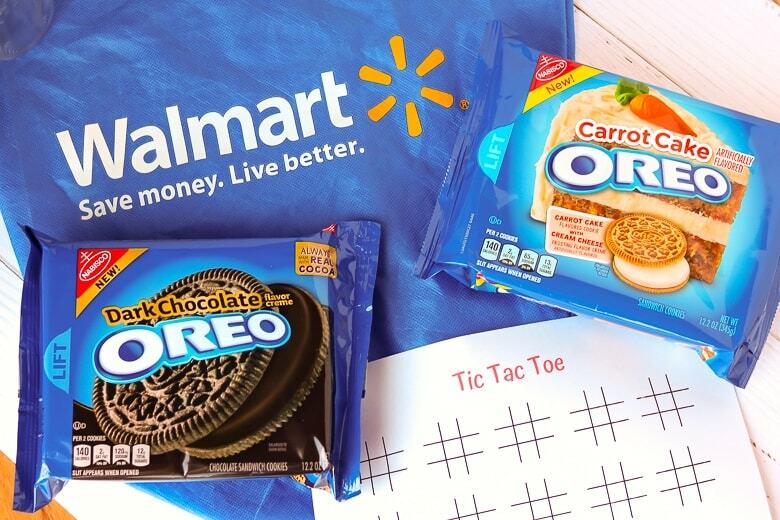 This past weekend we played name the OREO flavor with new OREO Dark Chocolate and OREO Carrot Cake Cookies, available at Walmart. Let me tell you, these new flavors are no joke. They are AMAZING! OREO Dark Chocolate cookies are packed with dark chocolate-flavored creme, sandwiched between two classic OREO chocolate wafers. They are rich, and full of that deep dark chocolate flavor. OREO Carrot Cake cookies feature carrot cake flavored wafers filled with cream cheese frosting flavored creme. They might just be my favorite OREO variety yet. Pick up the new varieties on your next trip to Walmart. Or, better yet, attend an exciting OREO Stuf Inside event at select Walmart locations for the chance to play games, win prizes, and sample the new OREO flavors for yourself. Walmart will be celebrating “The Stuf Inside” at select locations between February 14, 2019 and February 17, 2019. 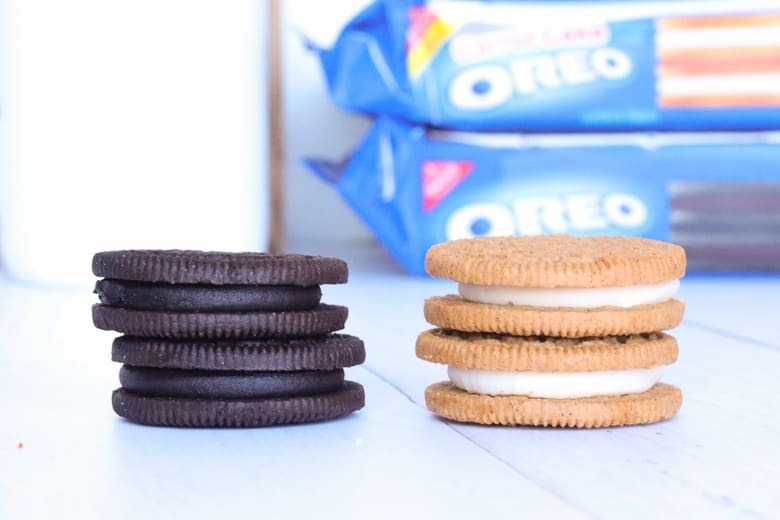 To find a store near you, visit OREOStuf.com. 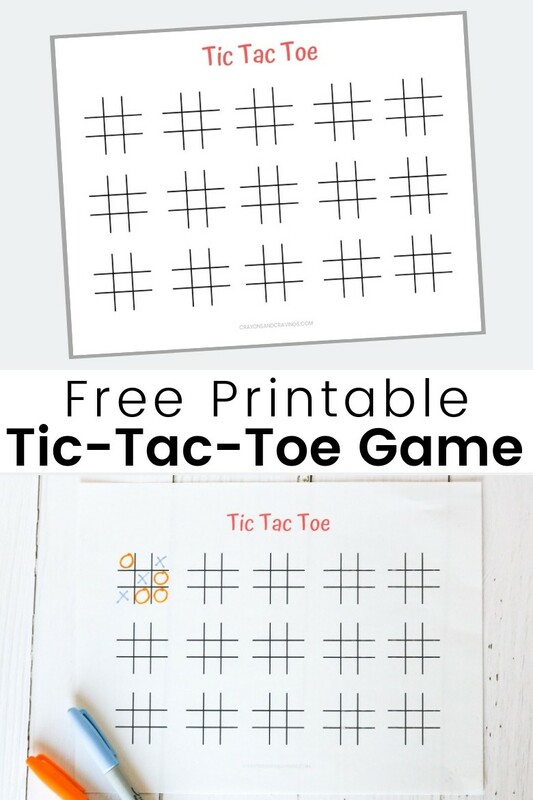 All you need is a pen and this printable tic tac toe game board for some tic tac toe fun. Simply click here to download the PDF file. Then, open the file and print the word search from your home computer. I hope that you and your family have a wonderful family fun night, filled with smiles, laughs, and tasty snacks! So fun! Love the printables. 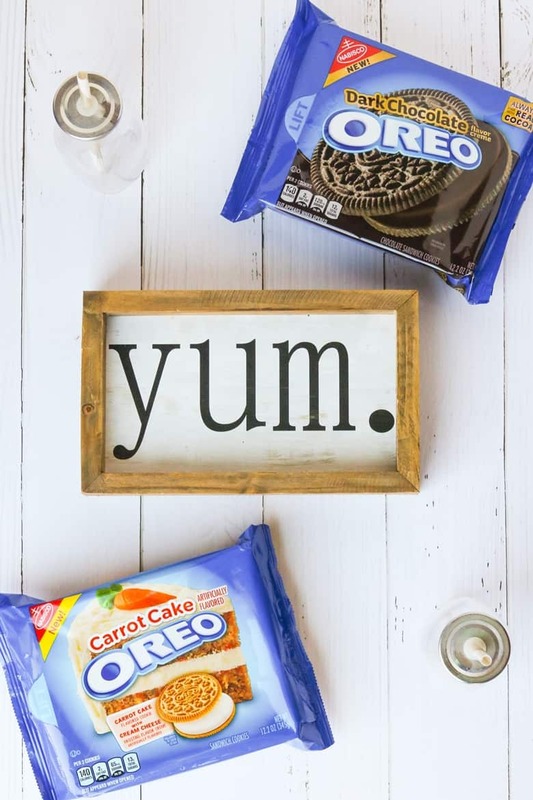 And… OMG… carrot cake OREOS? Making a special trip out for those! Thank you for the printable! 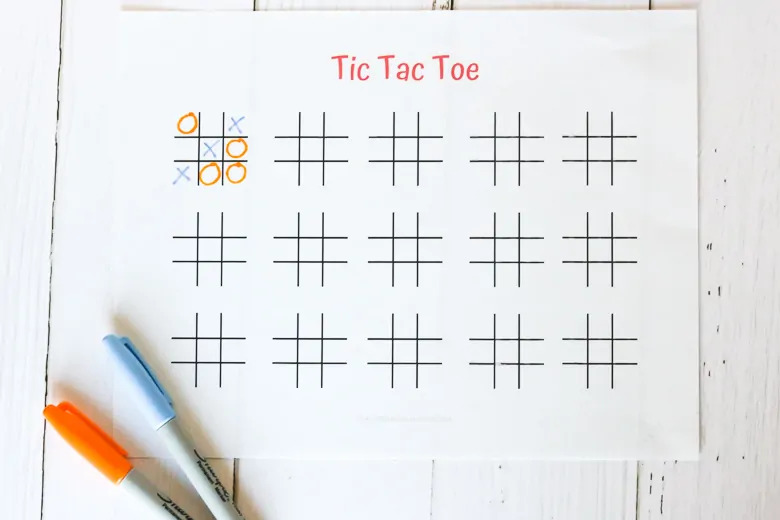 We play tic tac toe in restaurants all the time – will need to bring this on our next road trip.